Round-the-world trips with Virgin brand airlines are historically hard to come by but this deal gets you stopovers in the US, London and Hong Kong and earns all the benefits of Velocity Gold status in one hit. You’ll get direct aisle access on all flights, as well as the potential to earn a large amount of Velocity Points and Status Credits. This deal is valid for travel from now until June 2019, and the sale ends on 30 September. We also have guides to the cheapest ways of earning Qantas and Star Alliance Gold status in one trip. 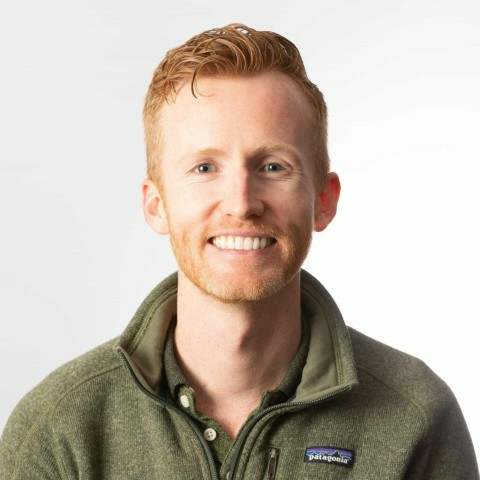 Why is Velocity Gold status valuable? 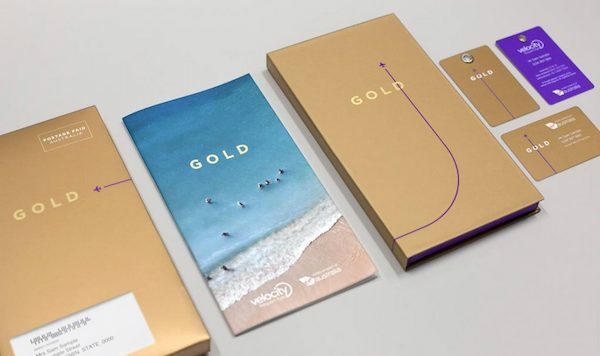 To obtain Gold membership, you need to earn 500 Status Credits and fly four eligible sectors (read: Virgin Australia-marketed flights) in a 12-month period. The itinerary below meets these criterion. To maintain (or extend) Gold membership for another year, you need to earn 400 Status Credits and fly four eligible sectors within the first year. Once you have Gold status with one frequent flyer program, you can status match to others. 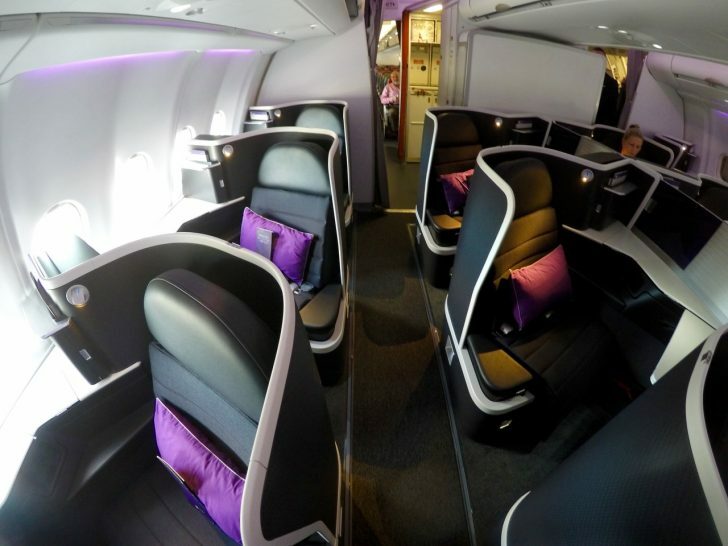 You’ll fly Virgin Australia Business Class between Australia and Hong Kong, Australia and Los Angeles, and any applicable domestic Australian flights. 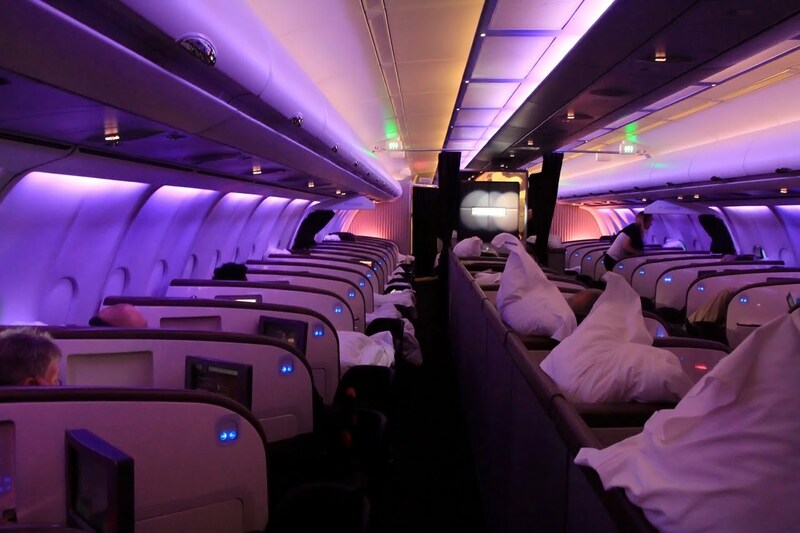 You’ll fly Virgin Atlantic Upper (Business) Class between its London hub and the US and Hong Kong. All trips will earn at least 500 SCs, i.e. Gold, and those departing from Perth can earn 780 SCs. See also our guides to the cheapest ways of earning Qantas, Star Alliance Gold status in one trip and Earn Oneworld Sapphire status in one trip with Qatar Airways. 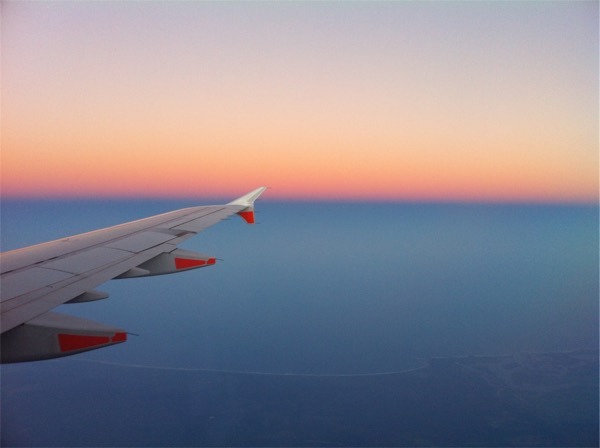 Is the June 2019 deadline the latest you can fly out, or need to return by? We are looking at a trip in July 2019…but can depart in June in order to meet eligibilty. Also…another comment mentioned that booking for two persons only redeemed SC for the person booking so do we need to book separately in order for both tickets to gain benefits? If so is there a way to link the bookings so its clear we are travelling together? Just completed this routing in PE going from Mel-HK-LHR-LAX-MEL. As it was PE the leg to HK was with unfortunately with CX, so credit went to my QF account. The others were with VS and VA on the home leg from LAX t0 MEL. At half the price of the business fare this was a pretty great deal. Picked up 360SC for the HK-LHR-LAX-MEL legs which is big assist to maintain VA Gold. All in PE was a reasonable way to do the trip. VS PE is surprisingly decent. With the older J class seats on VS you dont feel like you are missing out too much, and PE is big step up on those planes from Y. For VA the PE is good, but clearly the J class is a big step up. Oh the VS clubhouse in T3 @ LHR has to be the best lounge in the world, so make sure to give yourself a few hours there for a cocktail at the rooftop bar. I wish the flight fairy godmother would extend this to Auguat 2019! It comes down to how far in advance the airlines release flights. If your preferred flight dates for 2019 are available for reservation within the promotional booking period (ie, before Sept 30, 2018) then we can make a request to the airline to allow booking after the standard travel period. Feel free to submit an enquiry to me via the link with your preferred dates and we can assess. Hi, we had Velocity Gold Membership and our family of four flew to South Africa late last year which was well before the review date. All flights (12 in total) were Virgin and partner airline SAA and were fully paid (not points) and were business class or first class. Velocity membership numbers were supplied to agent and used on all bookings however membership has recently gone back to silver. I spoke with Velocity, frustrating call centre who only seemed able to read a pre written script rather than answer specific questions. The answer appeared to be that they would not honour the flights because some flight numbers were not prefixed with VA which was completely out of our control. Any suggestions as to how not to get caught again if ( in the unlikely event at this stage), we choose to continue to fly Virgin? I flew last year on Hainan and only recieved status credits and points for 2 internal flights in China and not my return flight from Sydney to Beijing. Neve take that airline again. Oh, that’s a shame! You might want to try to retroactively claim your points if travel was completed within the past six months. I got ~400 status credits with a Hainan airlines business class Beijing Melbourne return for around $2,000. I see its around $2,600 now, but Capital Airlines has similar tickets for around the $2k mark. Hope it helps. So under the new deal, if you book two seats and travel with a friend, who gets the gold status? From what the promotion says, it seems just the primary traveller (or the one who books the trip). Would love to see updated suggestions for how to recieve Velocity Gold from basically scratch. I’ve missed it since switching business travel to Qantas and prefer to fly Virigin for personal trips. Your story here https://www.pointhacks.com.au/travel-agent-velocity-gold-s…/ is a misleading deal. I purchased the suggested Business fare on Hong Kong Airlines for $1722 from Gold Coast to Hong Kong return and used your suggested preferred travel agent Luke. Luke told me I will get 115 SC after this trip. However Virgin Velocity Team advised my claim for missing points and status credit are reject due to the ticket issued was in fare class (I) which does not earn Velocity Points. On researching after the fact it clearly states on the Velocity websites that fare particular fare class does not earn points. I will lodge a VCAT case for your misleading advertising. Our exclusive deals get you Business Class travel while racking up enough Status Credits to get Gold status in one trip. Plus, how to status match. Given that the partnership with Hong Kong Airlines was quite new at the time of the article, we ensured to contact Velocity before publishing to confirm that this information was accurate. Unfortunately it seems that for some clients, the teething problems in the partnership still resulted in an error regarding SC accumulation. Velocity has advised that affected clients can submit a missing miles claim to have the error rectified. I hope this clarifies that the article does provide accurate information regarding SC earn and clients are eligible to hopefully make it all the way to Gold! Just booked on VFF 2 return Reward Business class fares OOL-HKG for 72,000 Velocity points plus $299.46 tax. (36,000 points each pp return) for May 2018. Hopefully it is a reasonably spend of 36,000 pts. Wow, if that is true, then that is an amazing deal! Hong Kong Airlines redemptions can’t be booked through the Velocity website but rather you have to call. Is that what you did? No, booked online. If you search dates Depart 11 May Return 29 May you will see the 18,000 pt fares. That really doesn’t sound right to me. I’ve done your search and it comes up with the correct price, which is 65,000 each way. If you like, you could send through a screenshot to [email protected]. It’s up to you but I just want to make sure there aren’t any errors! Thanks Matt, the dates I am looking at are listed at 18,000 pts plus $76.10 tax & 18,000 pts plus $73.63 tax – so if its a mistake seems I should grab it. I know this review is on Status Points. VFF have the OOL-HKG flight operated by Hong Kong Airlines in Business at 18,000 points each way. Do you have knowledge of the experience on the plane & whether it is as good a deal as it looks? Hi Lisa, this redemption is actually 65,000 Velocity points one-way in Business, according to the Velocity award chart. I can see that this flight is operated by an Airbus A330-300 with a staggered 1-2-1 configuration. Here is a YouTube video and review of it.